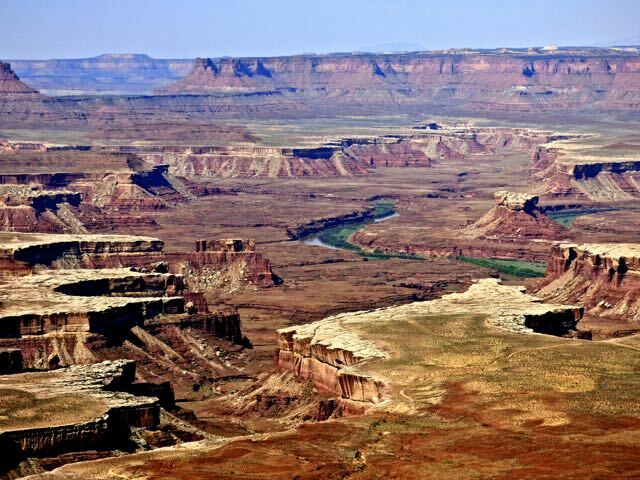 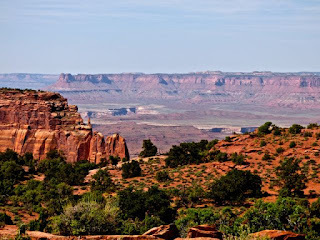 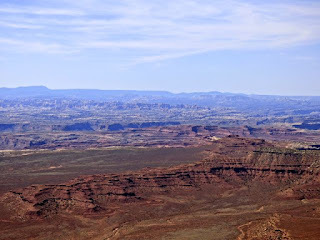 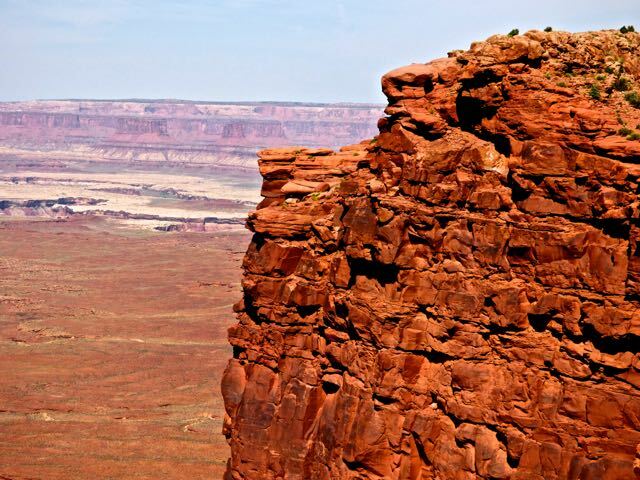 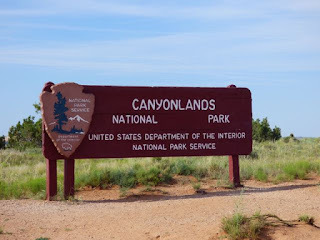 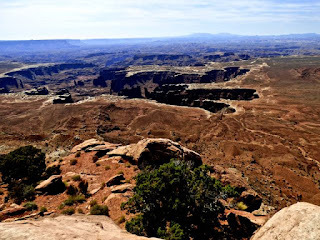 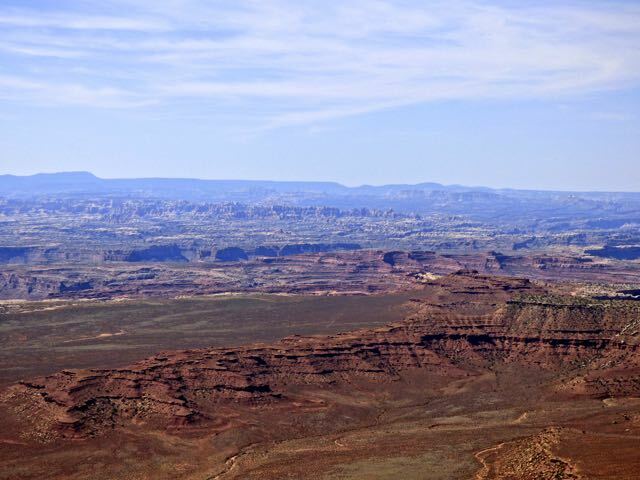 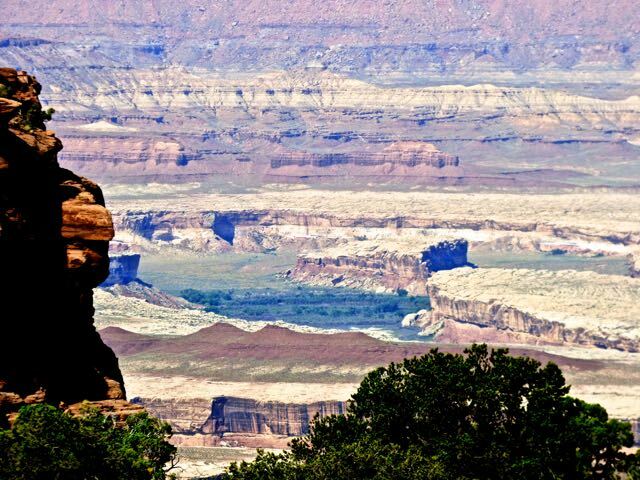 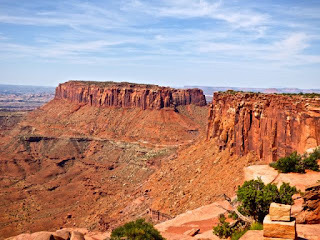 An early morning start to the Canyonlands, Utah's largest NP consisting of canyons, buttes, mesas,arches and spires. 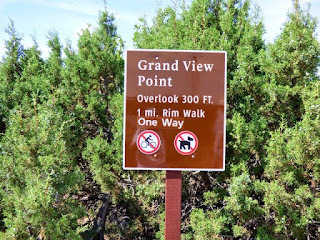 We visited the Island in the Sky part of the park as this is the best for driving. 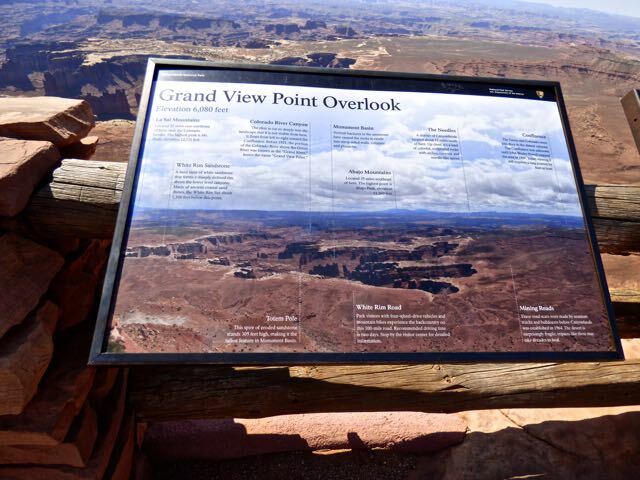 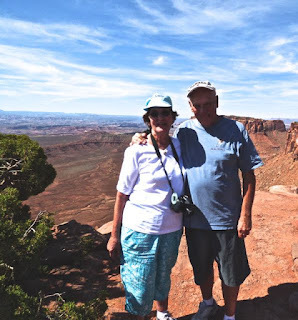 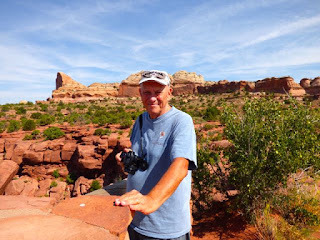 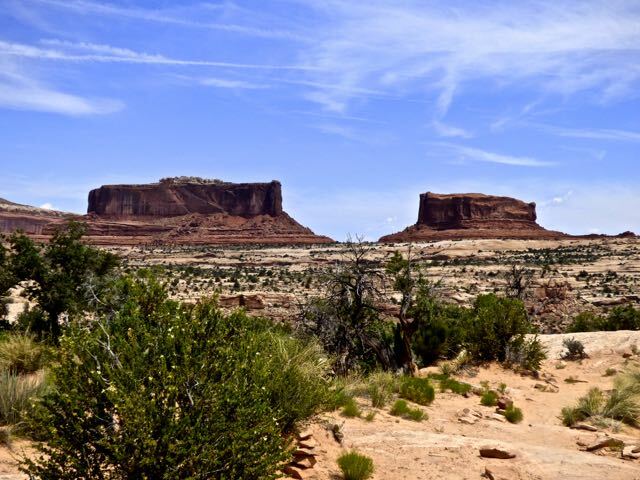 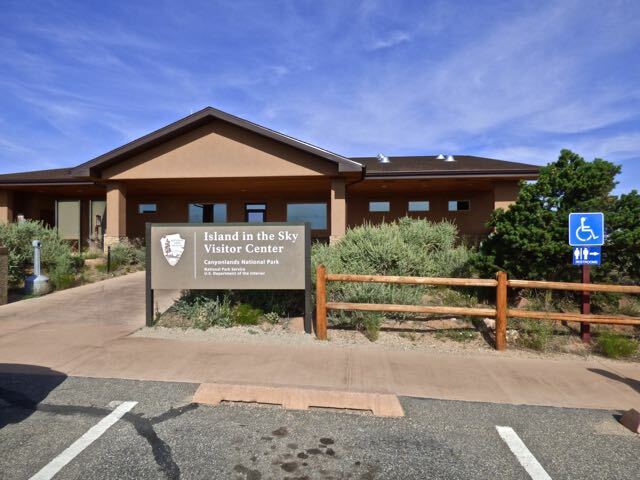 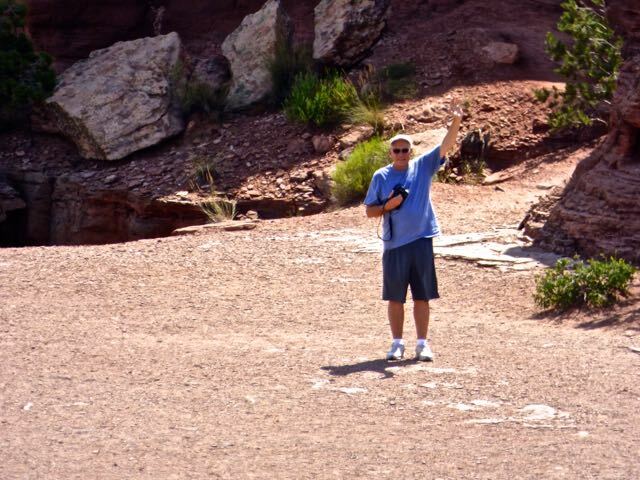 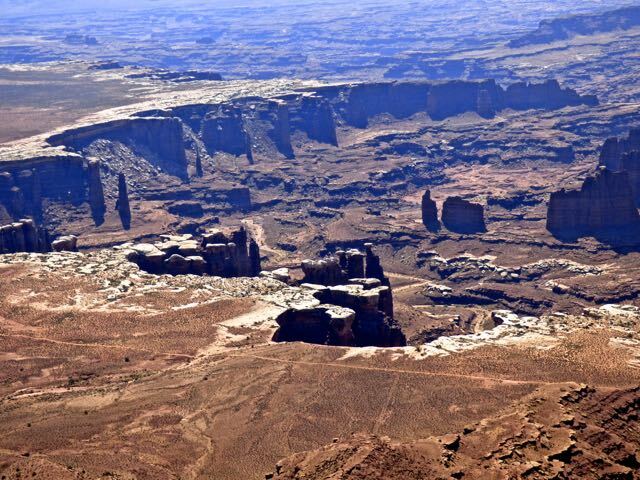 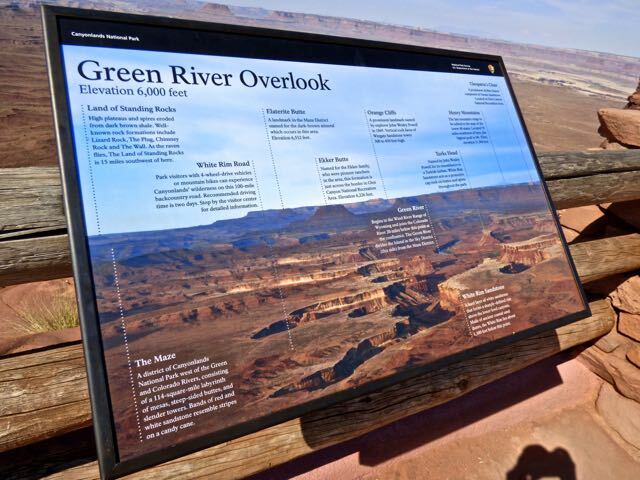 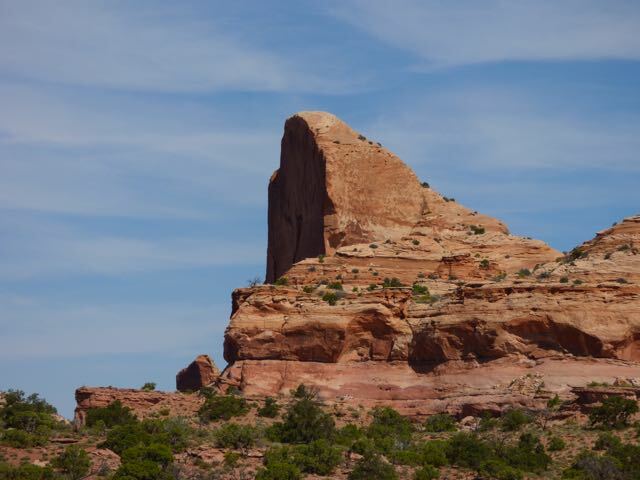 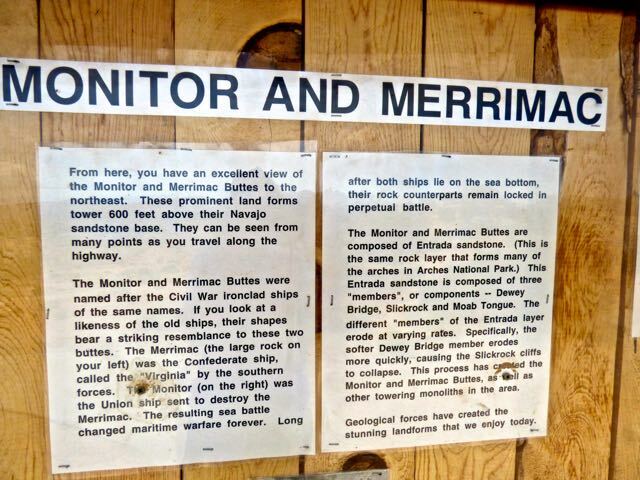 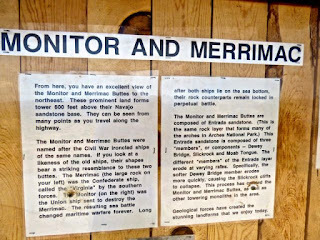 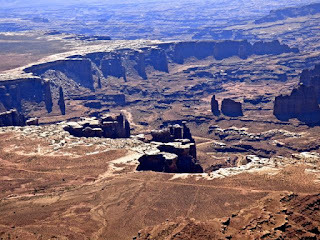 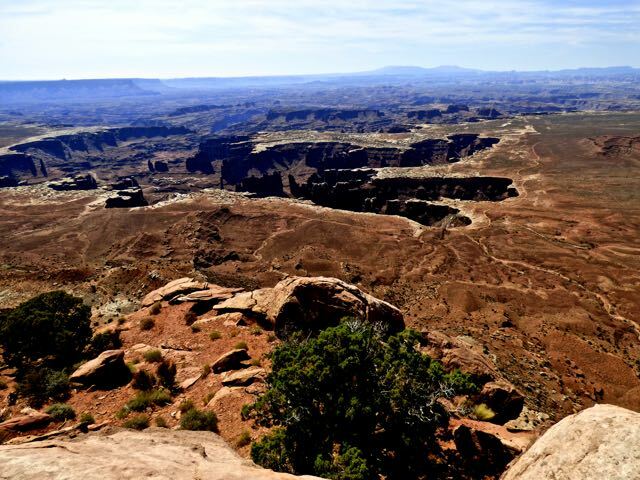 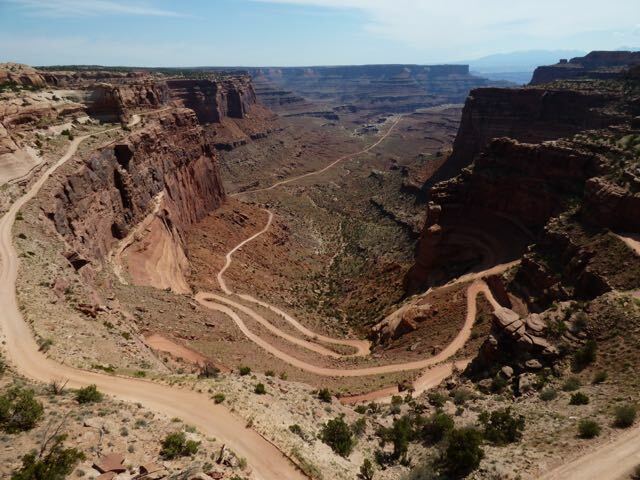 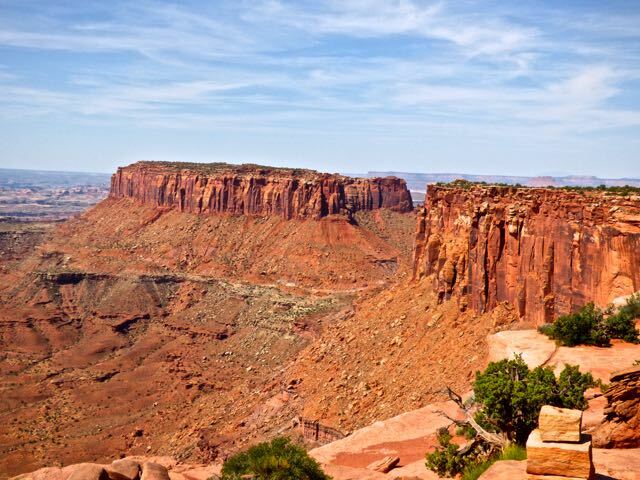 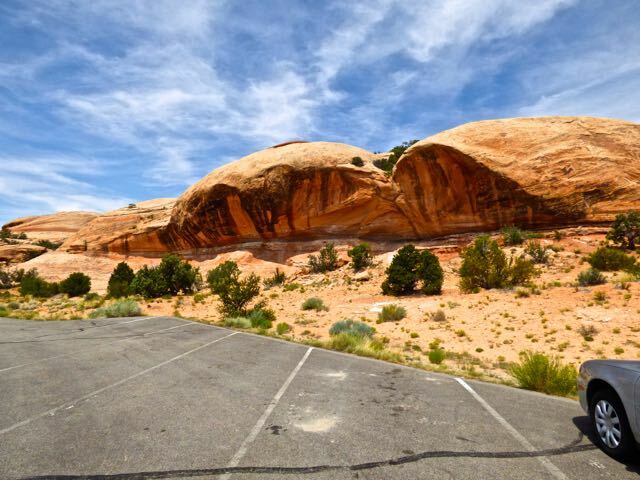 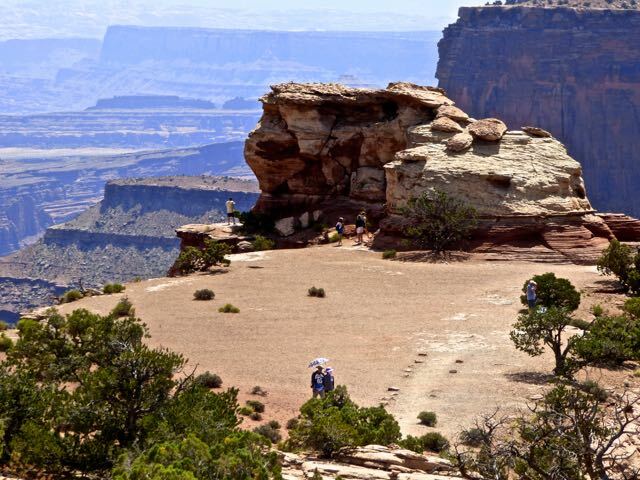 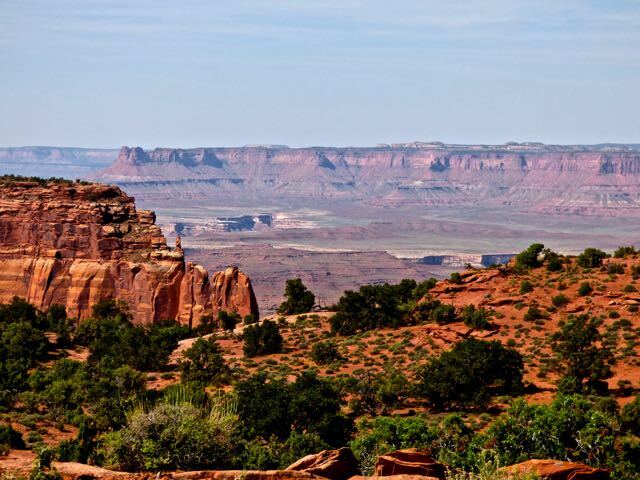 In order to visit the south part Needles area you must drive 70 miles south of Moab and there is a visitor center. 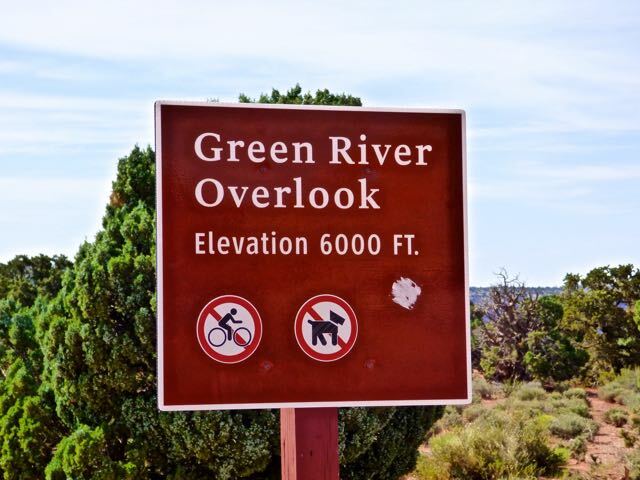 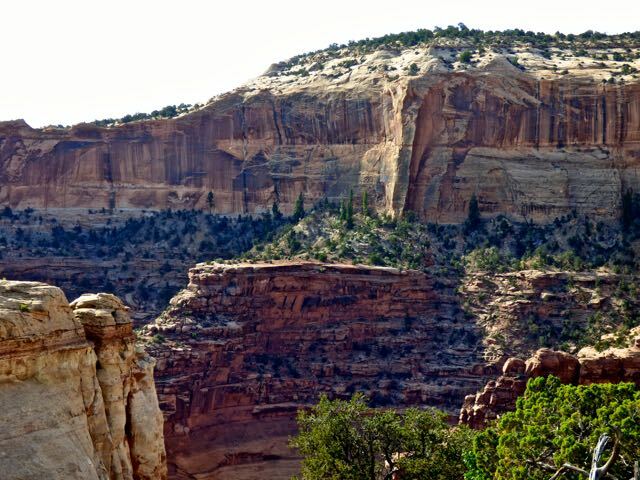 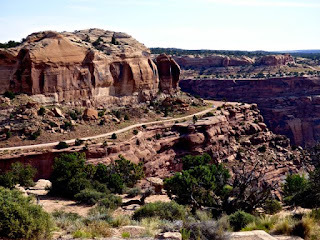 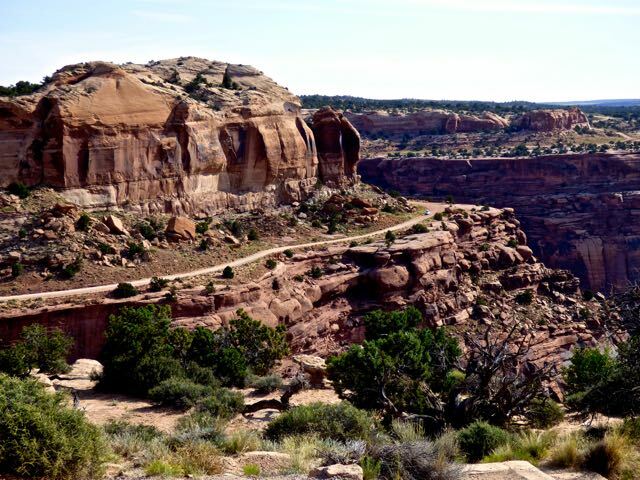 Most of the viewing area is by trail hiking or 4-wheel driving.Most of the arches lie hidden in the back country canyons. The Maze part of the canyon is the most remote and inaccessible by car. 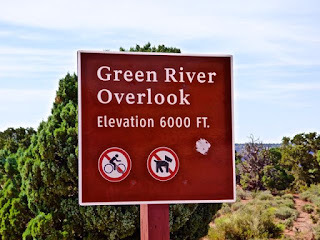 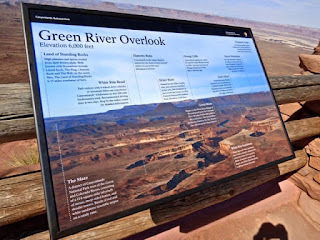 The Green River is to the west of the canyon and the Colorado to the east. 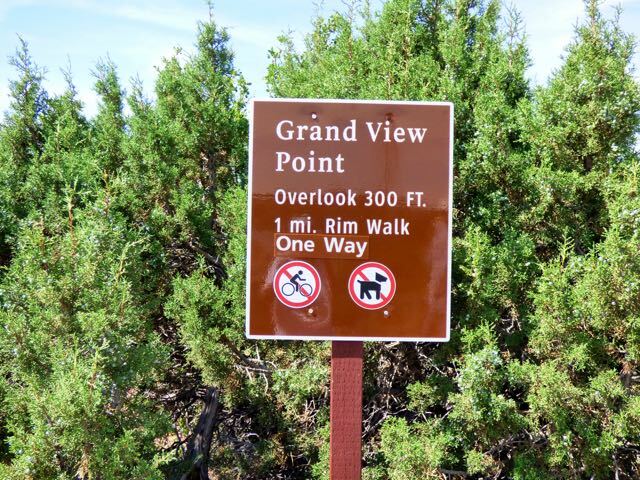 The confluence overlook is by by trail or 4-wheel. 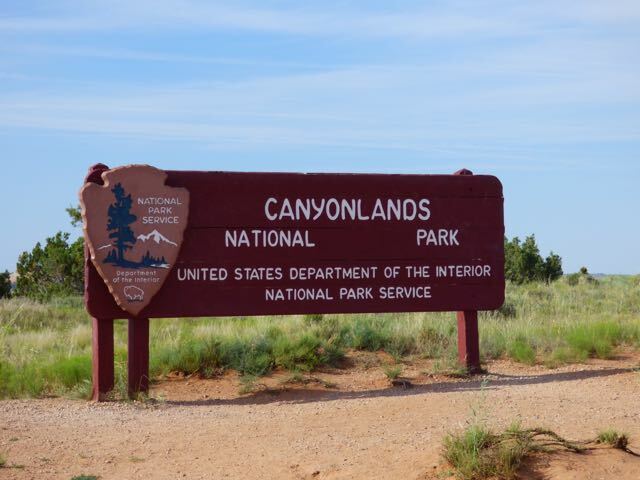 Take plenty of liquids and some food as there are no eating facilities in the park. 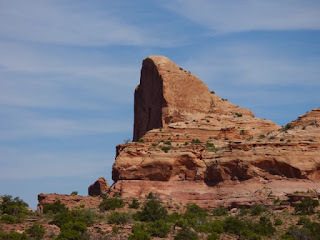 Feel Arches is more spectacular;however, if you have the time you should visit both parks. 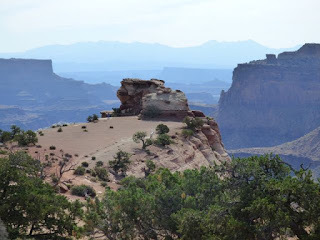 The day was hot and hazy so photos are not the best, but enjoy anyway.